Meh, not super interested really. They want basically $50 a figure if you deduct the game and a little for the case/etc. I really like his keyblade though! 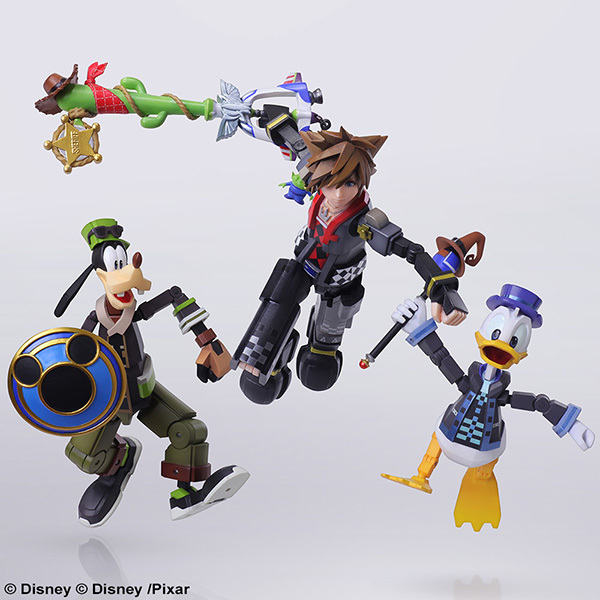 It's neat how they incorporated the main 3 Toy Story characters into it! 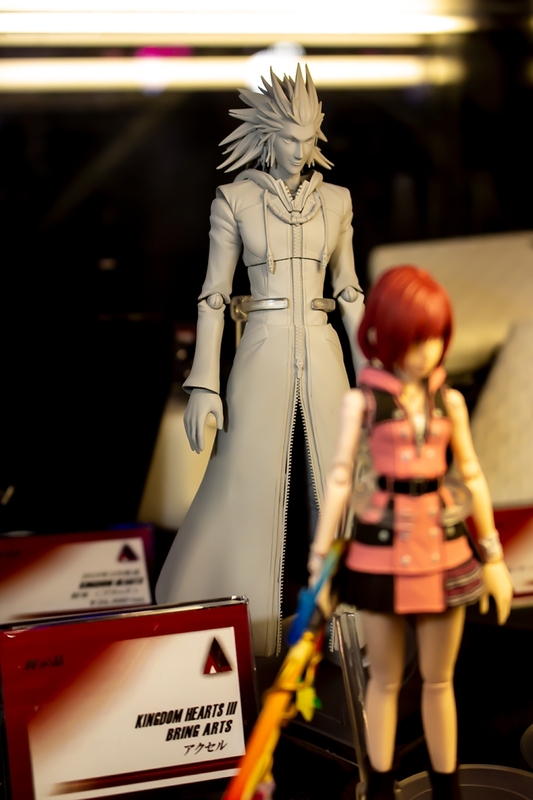 i also ask myself what has happened to Square Enix and especially their Play Arts Kai Figures. or more FF7 and KH3 Play Arts Kai. Hope there will be more shown on San Diego Comic Convention in July. This maybe the most meta toy set ever. A toy version of videogame characters in toy version within the videogame. Almost makes these a must buy,but that price is waaay too high. That Kairi is pretty badass! So have they unofficially retired the Play Arts Kai line? I haven't seen anything since SDCC for that line. It seems like they are pushing the Bring Arts line quiet hard now. Can't complain though, but curious about the fate of the PAK line. 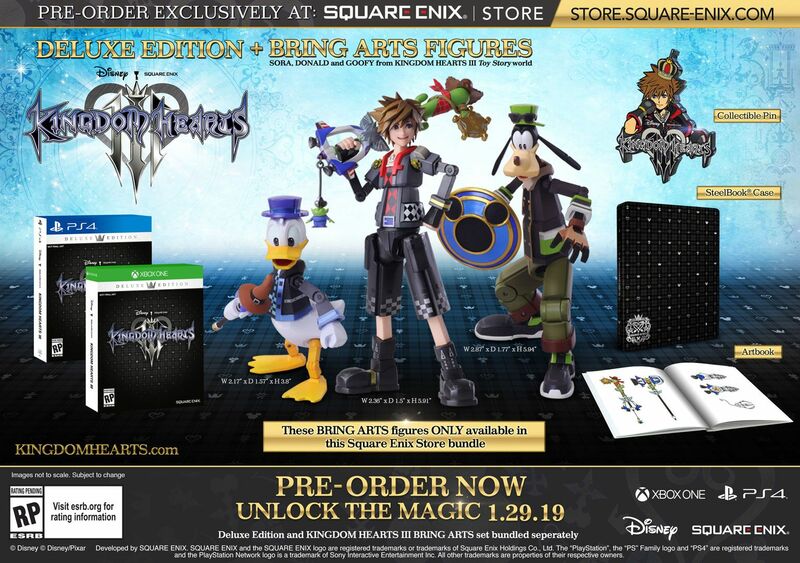 I hope they make the other characters too; Terra, Ven, Aqua. Plus Armor Varients of the three. As well as Roxas, Xion, Namine and a few villains.